Just 4 draws. Remember to bet again in 2 weeks. There are not too many people who have heard of the fabled Mega Millions Lottery. 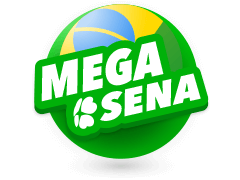 Lotto fanatics go crazy at the mere mention of the word "Mega" because they know what it entails. They know that Mega means big wins and even bigger Jackpots. This lottery has been known to change lives overnight. Mega Millions has been known to clear people's debts in a single instant and is responsible for the retirement of thousands of lucky players. 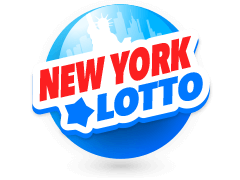 This lottery is American - we all know that the people of the USA like to do things big, so you should already have an idea how big the gains you stand to win playing this lottery are. This lottery held the record for the worlds largest single jackpot payout until as recently as 2016 when its fiercest competitor, The Powerball UK, had to hit the Billion dollar mark to reclaim the title again. At this moment, the lottery's jackpot is already hitting the hundred-million-dollar mark and this is barely a month after it's payout of half a billion dollars. Read on to find out more about this American thunderstorm of a lottery. To bet, you must first get yourself a bet slipand fill it in. A single bet will cost you only £3.00 when you play at Multilotto. Mega Millions UK allows you to either choose the numbers that you would like to pick out of a slip or have the picking done for you through an automated process. called the "Quick Pick". It's marked QP so you can't miss it. If you would rather opt for your own numbers you may do so as well. The slip has five panels each bearing numbers ranging from one to seventy. You only get to pick one number from each of these panels. On your bet slip, you will notice one panel carrying 25 numbers. This is the Mega Ball number and it is the key to winning the Mega Jackpot. During the draw that happens on Tuesdays and Fridays, the presenter picks out five white balls and one yellow ball. To win the "Match Five", which has odds of 1 in 12,607,306, you only need to have the five numbers on your slip match the numbers on the five balls he draws. Winning the "Match Five" earns you a guaranteed cash prize. To Win the Mega Millions jackpot, you have to match the five numbers on the five white balls and also match the bonus number with the number on the yellow ball. 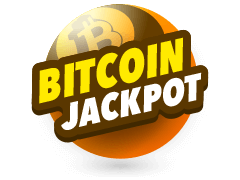 This guarantees you a $40 Million minimum jackpot. The lottery has a total of 9 different prizes you could win. Early Spring of 2012, a lady in charge of a Motomart Shop, Denise Metzger, received a call from Mega Millions lottery officials alerting her that her store was the one that had sold a jackpot-winning Mega Millions lottery bet slip. The store is located in the Southern Illinois community Red Bud, which by then had a population of just under four thousand people. The community is to be found no more than 30 miles South East of St. Louis. The jackpot was a mind-boggling $656 Million which was shared among three winners, one of which was in Illinois with the other two hailing from Kansas and Maryland. This jackpot win set a record jackpot high. The retailer received $500,000, which can stand on its own as a jackpot, for simply selling the winning bet slip. Interestingly, two of the three wins were not of their own making as they had used the lottery's Quick Pick feature to pick out their winning numbers. The three winners were offered either a 26-year annuity or a lump-sum payment. They all opted for the later and received $105 Million each after taxes. Simply because she chose to reflect her love for her family when she picked out the numbers for her bet, she won $173.8 Million post-taxes after opting for the lump sum payment rather than the 26 annuities. The 56-year-old resident of Georgia, Ira Curry, filled in her family's birth dates and subsequently won. The Mega Millions lottery is not only a plus to the buyer of the bet slip but also to the seller. In this case Young Soo Lee, the seller and owner of a Gateway Newsstand that she had only bought 9 years prior to the win. She herself won a tidy sum from simply selling the winning bet. The second bet slip was sold in San Jose, California and had the seller of the bet slip, Thuy Nguyen, owner of the Jennifer Gift Shop, win himself a million dollars in accordance with the California Lottery Rules. Apparently, he had only taken over the shop four months prior to the win. The winner in California remains anonymous but won just as much as Ira Curry. Thuy Nguyen claimed to be friends to most of his customers so he felt he might have known the buyer. On August 25th, of 2017, the fifth largest Mega Millions UK Jackpot, worth $393 Million, was won simply out of luck. The bet was won by a lady and her husband and made them the largest lottery winners in the history of Illinois. The jackpot had rolled over severally since it was won towards the end of April - a total of 30 times. Patricia Busking, a retired health worker, stopped at Nick's Barbeque for dinner with her husband and decided to place a bet since she felt the jackpot had grown incredibly high. It is reported that 70%% of the lottery's bets are sold just a day before the draw. Little did she know that it would be the reason her life changed for the better. While at home on Sunday, her husband heard on the radio that their locale was the host of the winning bet slip and informed her. When she cross-checked on the day's newspaper, she received a pleasant surprise and signed the betting slip back immediately. She claimed her prize after a week of financial consultation- a $246 Million lump sum. The Barbeque joint ended up receiving $500,000 for having sold the winning bet. Tell Me, How Did Mega Millions USA Get So Big? The lottery's history is just about as intoxicating as the game itself. Initially, Mega Millions was known as The Big Game and in the year 2000, the Big Game dished out a record-breaking $363 Million dollar jackpot which caught the attention of big players in the industry across the state. The number of people playing the game subsequently went up as well. Initially, Virginia, Michigan, Maryland, Georgia, Illinois, Massachusetts and New Jersey were the participants and were later joined by Ohio and New York early in the summer of 2002 bringing Mega Millions to life. In fall of the same year, Washington joined the Mega movement but it wasn't until winter 2003 when Texas joined the Mega parade. 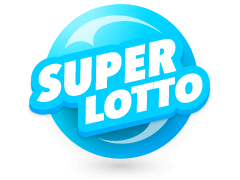 California solidified the lottery's status as the country's most widely played lottery by joining it and becoming the 12th State to join in June of 2005. 23 more states joined the Mega Millions lottery in 2010 when Mega Millions and Powerball came to an agreement and the rest, as they say, is history. How Much Can You Win On Mega Millions UK? It all depends on what pops up in those balls on the screen on the day of the draw. The number of numbers you match, guarantee you specific rewards. If you happen to match all five white numbers as well as the Mega Ball number with the numbers on the screen during the draw, you win the Mega Millions Jackpot which starts off at $40 Million before rollovers. If you only match the five white numbers, you win the Match five which guarantees you a minimumcash prize before taxes. If you match four numbers as well as the Mega Ball number, you get £7 000, matching just four numbers earns you £350, matching 3 numbers as well as the Mega Ball number earns you £140. Only 3 matches or matching 2 numbers and the Mega Ball number earns you £7 and you get £w for matching 1 number along with the mega ball. £1 is rewarded for only matching the Mega Ball number. When Are The Draws Held And What If I Win? The Mega Millions draws are held at 20:00hrs Pacific Time, 22:00hrs Central time, 23:00hrs Eastern Time and 21:00hrs Mountain TIme in the USA every Tuesday and Friday on the television channel WSB-TV. Ensure that you place your bet before the cutoff time which is usually about an hour before the draw if you intend to participate. If you happen to win, first of all, congratulations, but before you begin celebrating, make sure that you visit Multilotto to start the claims process. Mega Millions UK Where To Buy? There is not a specific place from which you are expected to enjoy Mega Millions UK. Especially not today with the internet being so rife. All you need to do is purchase the Mega Millions bet slip and fill them in and wait to be announced the winner. If you are more of a traditional gamer, however, you could get yourself a bet from any of the agents/retailers in any of the 44 participating states including the US Virgin Islands and the District of Columbia bringing the total to 46 jurisdictions. If you from outside of the United States, you could purchase a betting slip when you visit the state as to participate, you're not required to be a resident of the country. 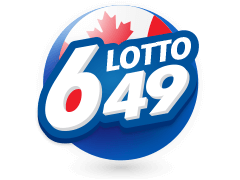 However, for the rest of you lotto players from around the world. Multilotto UK has you covered. I Just Got A Call Saying I won... Is This Real? Do note that you could not have won if you hadn't participated in the first place. Therefore, if you didn't purchase a bet slip and fill in your numbers, you couldn't have possibly won and the notification is a scam. Do note also that Mega Millions is not an organization and can, therefore, not have representatives. Mega Millions is a game and its bet slips are sold through the affiliate lotteries. If anybody is to call you claiming to be with Mega Millions, know that you are being conned. They often claim to require the money for "taxes" or "processing fees" or may even be audacious enough to ask you to provide your bank account number. 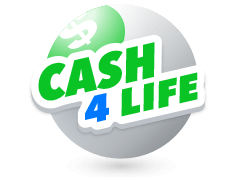 When you win the jackpot or any prize through Mega Millions, all fees are catered for- you are never required to provide money. If you receive such a call, contact your lottery. You might be wondering whether Mega Millions has a lottery application and it does. 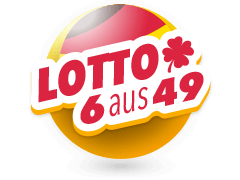 Multilotto has an official lottery app in both the google and apple app stores. 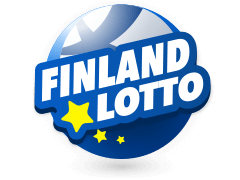 You can place your bets through the application and also check all of the latest lottery results. You may be wondering what happens if you're to lose your bet slip. If you had put your signature on its back then all is not lost but if you hadn't then whoever finds the bet is free to collect the prize money. However, when players play online at Multilotto, all bets are electronic and impossible to lose. Mega Millions has been known to change the lives of people across the United States and bring joy by giving everyone something to celebrate at Last. Ira Curry, the 56-Year-Old retired health worker from Georgia was reported to have felt like she was still dreaming. The shopkeeper who sold her the bet slip said it felt like Christmas and everybody kept on hugging her. Thuy Nguyen claimed he wouldn't be able to sleep that night because he was so excited from having sold the winning bet. The joy came to these people because they went out of their way to get the betting slips. You could get the joy without having to go out of your way, though. All that you need to do is log on to the Multilotto site and get yourself a bet without even having to leave the comfort of your own living room couch. All at the single press of a button. When you log on to the site, simply look for Mega Millions on the list of lotteries you could participate in and click "Bet now". Thereafter, you will get to pick out the numbers you would like to bet on and pay £3.00 for your bet and you shall be on your way to the big bucks. 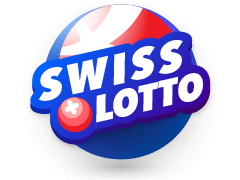 On the Multilotto website, you can keep track of the Mega Millions jackpot and also the odds. 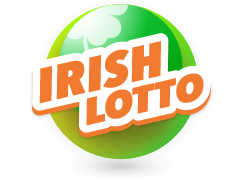 You could even get the stories of those who have previously won the lottery and the stories of people who've won other lotteries as well. 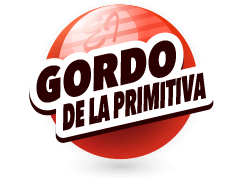 Speaking of which, if you would like to try something new, you could bet on other lotteries like Powerball, El Gordo and Eurojackpot. 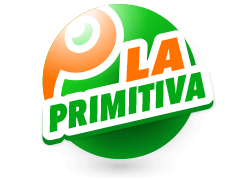 If lotteries fail to pick your interest, you could visit the Multilotto online Casinowhich has games ranging from table games to slots like the progressive Mega Moolah.